I’ve been using these for years with great results, I always use the ECO.3 kitchen cleaner, found this to be awesome around the house , cuts though grease in no time at all. I use it on the oven, all kitchen cabinets, wipe down doors basically everything, and now my Daughter uses it too, so great work guys , we both love the ECO.3 products. A range of truly eco-responsible cleaners that are non-toxic, non-carcinogenic, skin safe and safe around your family & pets. If that‘s not enough, they’re tougher and less expensive than leading brands! 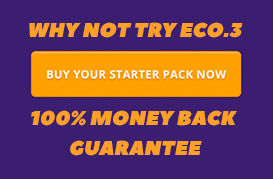 ECO.3 products don’t cost the earth.